A food bloggers lunch courtesy of Suttons and Sons with the girls from @londonfoodbabes, and chef Chris, (founder of A taste. and upcoming restaurant in Clerkenwell, Three Little Birds). 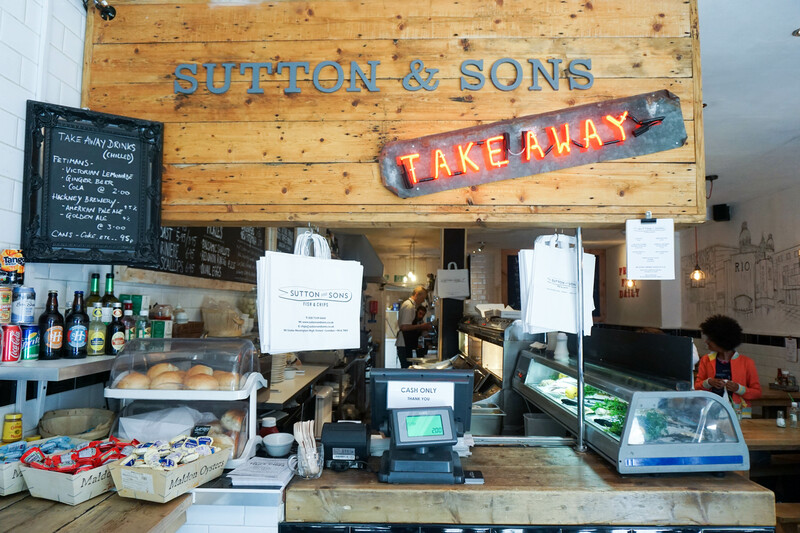 Serving the widest choice of fish in North East London, Sutton and Sons is located on the high street that joins Dalston Junction and Stoke Newington stations together. Seafood is sourced daily, fresh from the Sutton and Sons’ Fishmongers, their main seafood supplier. An established and reputable entity in its own right, with its roots stemming back to 1998, serving schools and its local community. Sutton and Son’s restaurant itself was set up in 2010, showcasing traditional British food, one of the few good fish and chippies left in town. I have to admit I don’t know much about seafood, so it was great to have Adam and Chris explain how particular foods are sourced and the reason behind particular flavours/ seasonings. 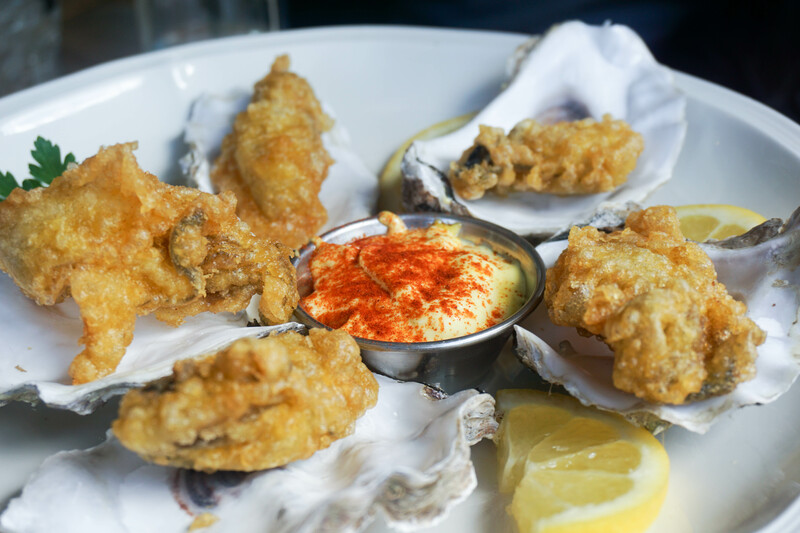 These oysters are obtained from Kent, with Danny allowing us to try them raw, and also tempura style. The aioli sauce is a must-try! These scallops were unbelievably good, I could have eaten the whole entire serving! We also had Mrs Sutton’s pickles (pictured below). Really large portions at Sutton and Sons, so you would really get your money’s worth. I had the tuna burger, you’re given a thick slab of tuna sandwiched by soft buns and a bowl full of fries. Can be a quite a walk if you get off at the wrong stop… so plan your journey!